The older I get, the more I realize that everyone I meet is in need of God’s healing. Young or old, rich or poor, everyone is wounded in some way, whether that be physically, emotionally, mentally, spiritually, or some combination of the above. It is the price we pay for living in a fallen world. Schuchts explains that there are seven deadly wounds that we all experience to greater or lesser degree: rejection, abandonment, powerlessness, confusion, fear, shame, and hopelessness. Each of the seven sacraments works to heal one of these deadly wounds. Confirmation gives us the Holy Spirit’s power, thereby counteracting the sense of powerlessness we so often feel. By setting up rightful spiritual authority, the sacrament of Holy Orders works to end confusion. We are called to submit to our Father’s authority and the authority given to the Church. In times of sickness or at the end of life, the Anointing of the Sick heals wounds of hopelessness. It is the sacrament of resurrection, promising us that Jesus is stronger than death and that eternal life awaits. Schuchts offers many stories from his own and others’ lives, testifying to the power of the sacraments to transform lives. God wants to heal our brokenness and has provided His sacraments as a major way of being present to us in our times of need. 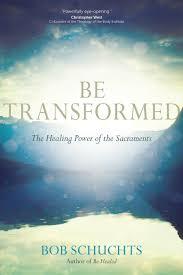 Be Transformed invites us to take a deeper look at the sacraments and the power God exercises through them. 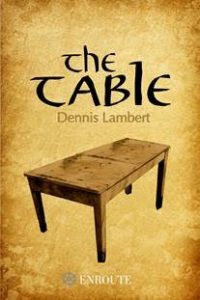 Dennis Lambert and his wife Debbie live in Phoenix where he serves as a Deacon in the Roman Catholic Diocese of Phoenix. A graduate of Lake Forest College and the Kino Catechetical Institute, Dennis recently retired from a twenty nine year career in the pharmaceutical industry in order to dedicate more time to writing and to serving the Church. In addition to his passion for writing, Dennis and his wife share a deep love of music and have performed together in bands, both in the Chicago and Phoenix areas, for almost three decades. En Route Books and Media is a Catholic publishing company based in St. Louis which specializes in all genres of Catholic literature. Being the outstanding publisher they are, En Route donates 10% of all profits to Pro Life causes! Do you enjoy puzzles? Want to learn a bit more about your Catholic faith? 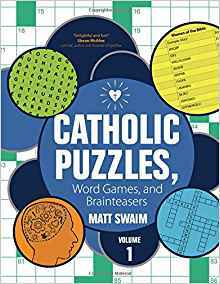 If so, you'll love Matt Swaim's new books: Catholic Puzzles, Word Games, and Brainteasers, published by Ave Maria Press. Types of puzzles included are code scrambles, crossword puzzles, cryptofamilies, word searches, syllacrostics, and much more. If you get stumped, the answers are in the back of the book. This book would also be fun for a high school religious education or homeschool class. It was an impromptu decision. I saw an online EdX course on Natural History Illustration being offered through the University of Newcastle in Australia and decided to sign up. It dovetailed nicely with my New Year's Resolution to draw a little bit each day (a resolution that I've mostly been able to keep), plus it was something I wanted to learn more about. It was advertised as a class for people of any artistic experience level. This turned out to be both much more interesting and challenging than I expected. I was blown away by the quality of the artworks produced and while I could keep up, every week's lesson and homework stretched me as an artist. I've always had a realistic, but somewhat impressionistic style. I was never one to try to capture every detail in a drawing or painting, but this class required that. It is less about the beauty of the art and more about the accuracy of the rendering. I also learned a great deal about the structure of plants and the anatomy of birds and animals. I just submitted my final project of a sunflower that is growing in my front yard (I love sunflowers!). I'm pleased with how it came out and I'm very glad that I decided to take this class. It's made for a great summer project.